It is replaced by the Intermec CN51. Wi-Fi (802.11b/g), 3G CDMA Verizon, 2D Imager Scanner, Windows Mobile 6.1, 256MB RAM/512MB ROM, QWERTY Keypad, Extended Battery. Interface cables and charging cradle sold separately. 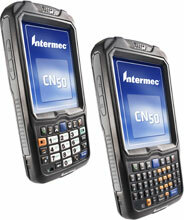 If there was ever a unit that was made to be outside the 4-walls, it is the Intermec CN50. This mobile computer will be able to transmit/receive data anywhere you are with options for Wi-Fi, CDMA, and UMTS wireless networks. A unique feature on this unit is the added digital compass that helps make GPS tracking and directions faster and more accurate. 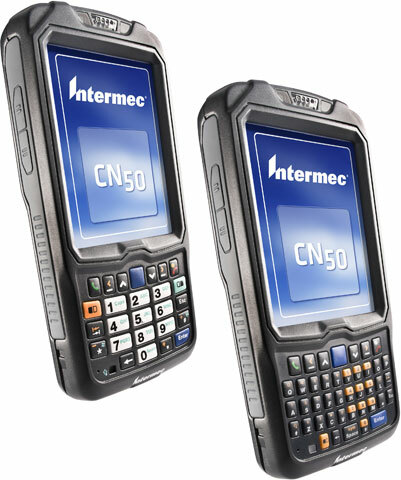 The CN50 ideally belongs in the hands of postal, field service, transportation, and sales workers who can take full advantage of its size and feature set. If mobility is of any concern to you, the CN50 will offer the most robust package of features to accomplish any in-the-field task.